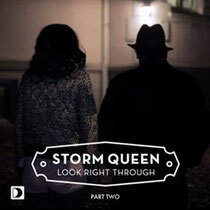 Following a brace of releases in ‘Look Right Through’ and 2011’s follow-up ‘It Goes On’, Morgan Geist is back as Storm Queen as Defected get set to release a selection of artists to present their own interpretations of the debut Storm Queen release. 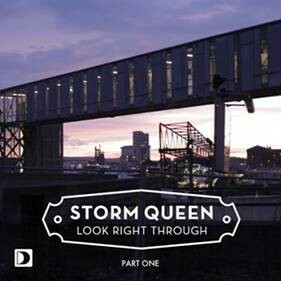 Dropping 1st February, Part 1 includes remixes from Jamie Jones, Dimitri from Paris and Aeroplane. Jamie Jones had a phenomenal 2011, and has started the New Year in similarly explosive fashion, with his bass-heavy remix already receiving a world exclusive spin on Pete Tong’s Essential Selection. An uplifting, piano-led reimagining from Dimitri from Paris and a driving, neo-house mix from Aeroplane complete the package. Part 2 follows on 29th February with two mixes from MK and a remix from Art Department. The Toronto duo have gone from strength to strength since their debut release in 2010, and their remix is typically stripped back and infectious, while NYC favourite MK drops two versions, coming from a producer who has rediscovered his passion for underground dance music. For those who need a little reminder of where it all started, the original mix now comes with an official music video, directed and produced by Neil Dowling and Nils Clauss of CONTENTed Films. Check the video below.